Gizele Oliveira made her Victoria's Secret Fashion Show debut and even made headlines for helping out fellow model Ming Xi get up after tumbling down the runway. Here are 11 things you need to know about this Brazilian bombshell. 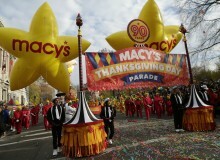 Holiday Season is about to start with the Macy's Thanksgiving Day Parade, which this year turns 91! Here's where and when to watch the event either in person, on TV or live stream. Natti Natasha's "Criminal" featuring Ozuna has bumped "Despacito" from YouTube's number one spot. 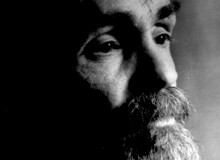 Charles Manson has died at the age of 83, a spokeswoman for the California Department of Corrections and Rehabilitation confirmed. 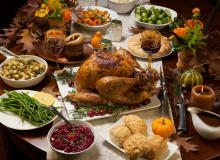 Thanksgiving has a great holiday premise, and every culture and religion, despite its beliefs, should take at least one day a year to be thankful for what they have. Enjoy a marvelous dinner with some of your favorite restaurant sides to go with your main dishes! These delicious dessert recipes will help you create a sweet and satisfying end to your Thanksgiving feast. 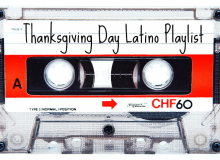 The Ultimate Latino Playlist For Saying 'Gracias' On Thanksgiving! 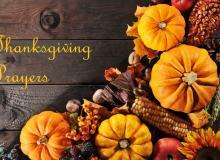 Celebrate Thanksgiving Day with these classic Latino songs that send wonderful messages! 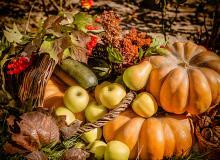 Let’s not let the flurry of Thanksgiving day make us forget to give thanks, to mindfully acknowledge abundance and blessings, which is the whole purpose of this holiday. 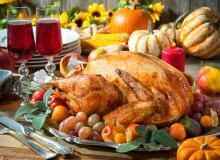 Vegan Turkey Alternatives For Thanksgiving Day! Substituting turkey for a Thanksgiving feast does not mean eating boring and bland food. 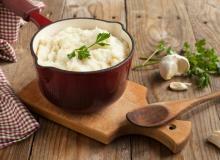 Here are 6 dishes and recipes that will make this an unforgettable, cruelty-free dinner! 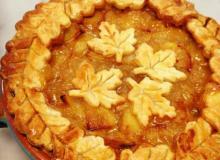 These five recipe ideas put a Latino twist on some classic Thanksgiving favorites. The Most Delicious 'Pavo Relleno' Recipe For Thanksgiving! You can't miss our fabulous turkey recipe with a unique stuffing that will leve everyone asking for more on Thanksgiving! 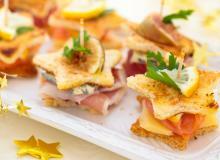 These simple yet delicious bites will be the perfect start to a delightful evening! As Thanksgiving approaches, we prepare to get together with family for a delicious feast, create new memories and give thanks for a year that’s coming to an end. 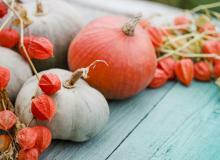 Get into the spirit with quotes to express gratitude. 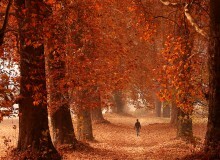 Celebrate all the gifts life has given us with these sweet and grateful poems for Thanksgiving. 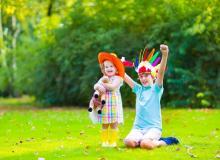 The ultimate guide to surviving Thanksgiving with kids. We have collected fun and easy Thanksgiving themed coloring pages, puzzles and crafts which you can print for free and enjoy! Roselyn Sánchez hosted the Latin Grammy awards less than two weeks after giving birth and proved she's not from this world because no one looks that great so soon after delivering a child. The biggest celebration of Latin Music took place at the MGM Arena in Las Vegas, where "Despacito" took home the most awards and newcomer Vicente García shocked with three wins. Take a look at all the winners here! 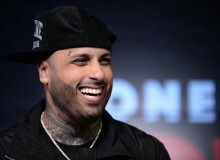 Nicky Jam guest stars in YouTube's reality show "Best.Cover.Ever" where he will choose the best rendition of his song "El Amante." Get a sneak peek here! These Thanksgiving Memes Are Hilarious! It's a day to give thanks for everything we have. 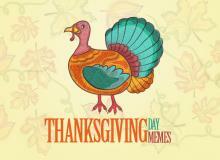 Celebrate Thanksgiving Day being thankful we can find the humor in the most uncomfortable circumstances.